UBC Assist. Prof. Mary Jung says a continuous glucose monitor could make all the difference for diabetics when it comes to keeping up an exercise routine. Assist. Prof. Mary Jung, a researcher in UBC Okanagan’s Faculty of Health and Social Development, has shown that people with prediabetes or Type 2 diabetes who wore a continuous blood glucose monitor (CGM) were much more inclined to continue exercising as compared to those who did not wear one. CGMs measure blood glucose levels every five minutes using a sensor placed under the skin in the abdomen area. The reading is then displayed graphically on a pager-sized wearable device. 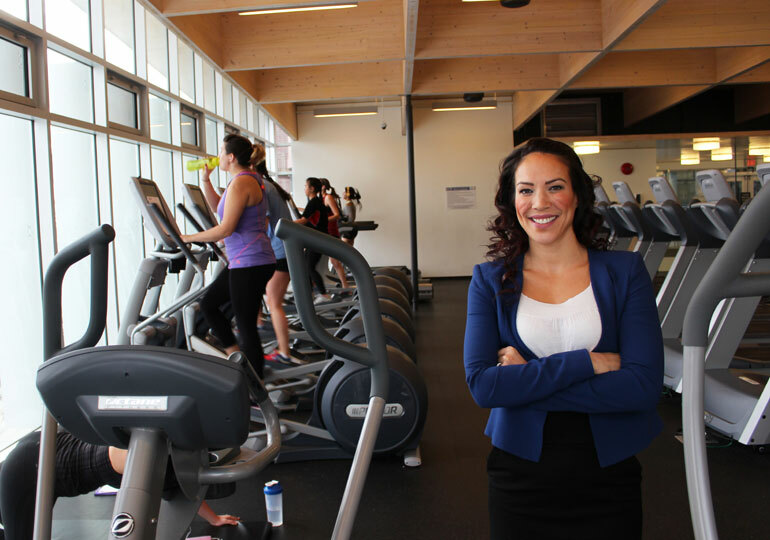 Jung ran an eight-week pilot study that focused on teaching people living with prediabetes and Type 2 diabetes how to self-monitor and self-regulate their exercise behaviour. Half of the participants were provided with a CMG and given lessons on goal-setting, self-monitoring, and how exercise impacts blood glucose levels — even days after exercise. The remaining participants were taught general health care tips such as stress management and foot care. Jung says not only was the group who wore the CGMs and received self-regulatory skills vigilant with their exercise during the study period, they exercised more one month later and were significantly more likely to sign up for an exercise program than those without CGMs. Jung explains that exercise is vital for everyone, but especially people at risk for developing Type 2 diabetes or who already have the disease. But sticking to an exercise program is often challenging for this group. While Jung’s study group was small, she says the preliminary evidence is promising. If providing counselling plus a continuous glucose monitor can make people change behaviour on their own volition, then it is something that warrants future attention given one in every three Canadians are projected to develop Type 2 diabetes by 2020. Jung’s findings were recently published in the Diabetes Technology and Therapeutics journal. Her research is funded by the Canadian Institutes of Health Research Foundation Grant and the Michael Smith Foundation for Health Research.